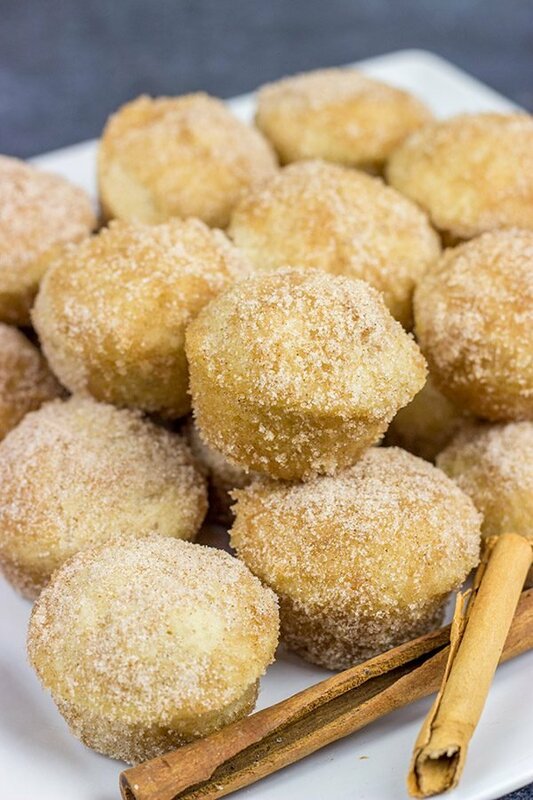 Cinnamon Sugar Donut Muffins - Perfect size for popping! 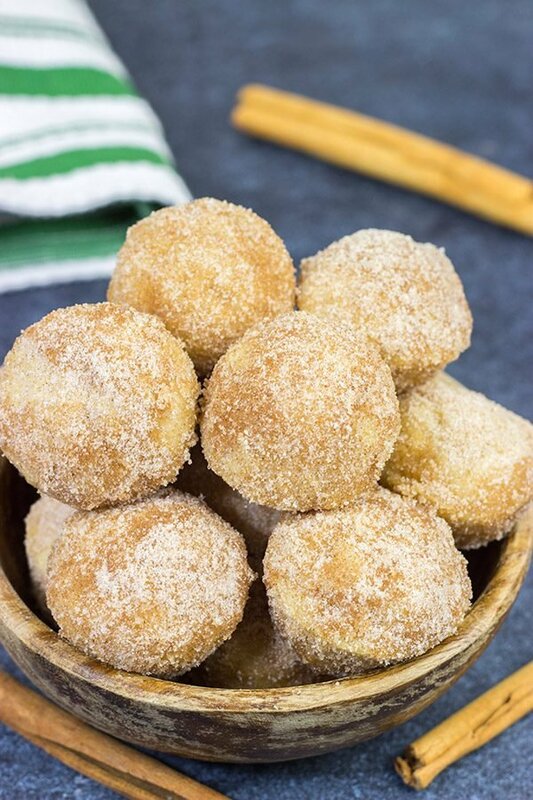 These Cinnamon Sugar Donut Muffins are an easy and delicious recipe…and they’re the perfect size for popping into your mouth! The last spice mixture that I can’t live without is my bottle of cinnamon sugar. Growing up, my mother would often make cinnamon toast for breakfast which was simply buttered toast sprinkled with cinnamon and sugar. I loved that toast! Now I know several companies make pre-mixed bottles of cinnamon and sugar, but I just have my homemade version. I picked up a generic shaker can in the Target Dollar Spot years ago, and that’s my cinnamon sugar shaker. 1 cup of sugar to 2 tsp of cinnamon. Mix it up and there ya go. A pantry staple for me! 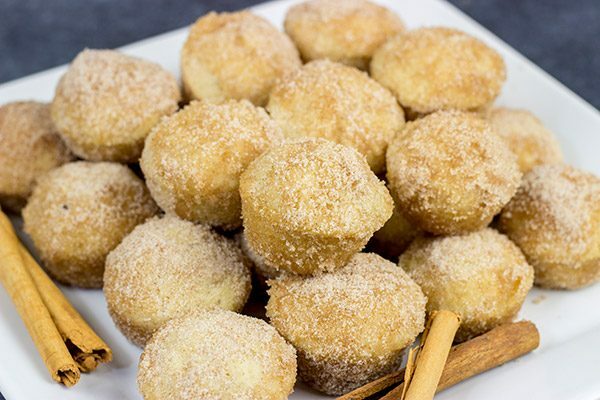 Keeping with the cinnamon sugar theme, these Cinnamon Sugar Donut Muffins are amazing. Seriously! These baked donuts totally remind me of cake donuts. And because they’re mini, you can pop an entire one in your mouth and pretend no-one saw a thing. Not that I’ve done that or anything. Now I know donut hole pans are a real thing, but I don’t own one. I seriously think it might be the only pan I don’t own. While I love me some donut holes, I can’t justify the storage space for a pan that only makes donut holes. Maybe I’ll break down and get one in the future, but for now I used a mini-muffin pan to bake these Cinnamon Sugar Donut Muffins. And since these are mini, the donut muffins bake in just a little over 10 minutes. 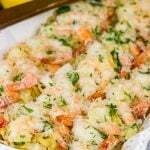 This is seriously one of the easiest recipes ever…perhaps a little too easy! *David gets up to go make another batch of Cinnamon Sugar Donut Muffins. * Enjoy! 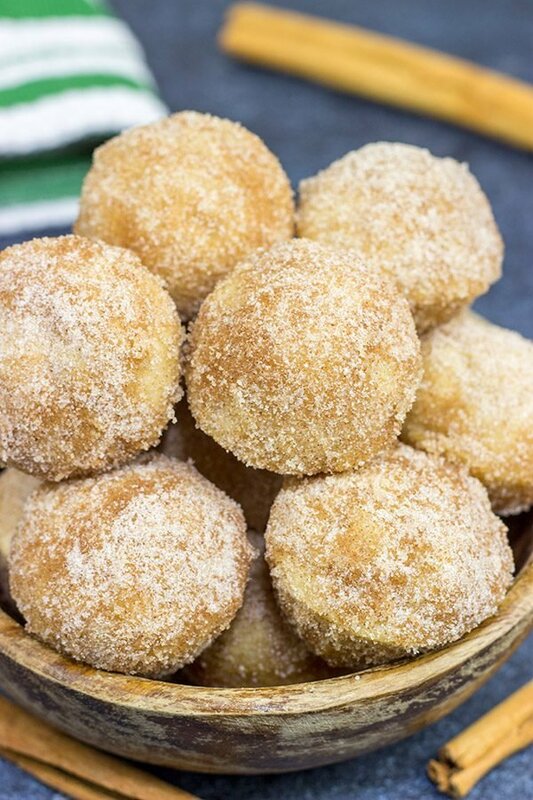 Did you make a batch of these Cinnamon Sugar Donut Muffins at home? Leave a comment! Or snap a photo and tag me on Instagram (@Spicedblog). 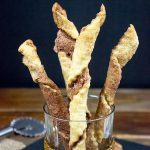 Looking for more cinnamon sugar goodness? 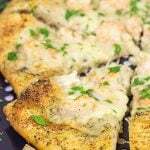 Check out these recipes, too! 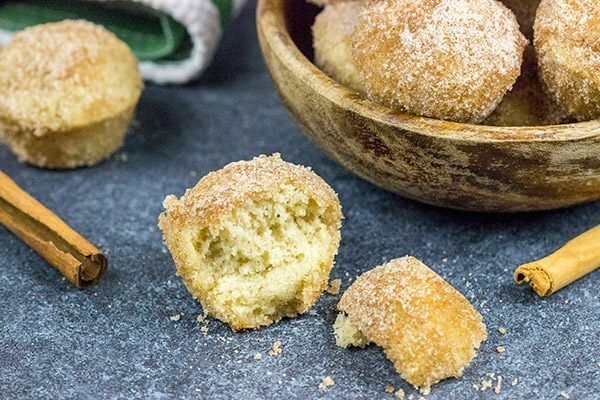 These Cinnamon Sugar Donut Muffins are an easy and delicious recipe...and they're the perfect size for popping into your mouth! Spray a 24-cup mini-muffin pan with nonstick baking spray; set pan aside. Using a large bowl, add flour, baking powder, sugar, cinnamon, nutmeg and salt; stir until well combined. In a separate bowl, add egg, melted butter and milk; whisk together until well combined. Pour wet ingredients into bowl with dry ingredients; stir until just combined. Using 2 spoons, drop the batter into the prepared muffin pan. Bake for 12-14 minutes, or until a toothpick inserted into the muffins comes out mostly clean. Let muffins cool in pan. Pour melted butter into a small bowl; set bowl aside. In a separate bowl, add sugar and cinnamon; stir until well combined. Carefully dip each muffin in butter and then roll in the sugar-cinnamon mixture. Herbe de Provence is soooo excellent on chicken… there’s a sweetness to it. 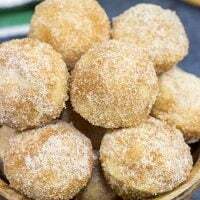 David, the first thing I thought of when I saw the post images was cinnamon sugar cake donut holes, a childhood favorite. I think you’ve just invented the muffin version. Well done. Now, when it comes to cooking station staples, we have at hand Maldon sea salt in the salt pig, Tellicherry black pepper, EVOO and balsamic vinegar. Just above, numerous spices and herbs. Lastly, the fridge is just next to the stove which always has a chilled white wine or a nice cold beer. Also, I like your point about always having chilled beer/wine. Our fridge in the new house is tiny, so we set up a smaller “beer/wine fridge” in the basement where we hang out. So we always have a cold one on hand, too! Cheers, my friend! Hi David! These would seriously be calling me in the middle of the night! You know I’m one to get up at 3:00 a.m. and want to stuff something in my face. Not a lot, just a little something and these would be perfect! Well done as always my friend! Haha! I know about your nighttime wanderings, Dorothy! Usually I’m so wiped that I sleep straight through the night no problem at all. But then again, if I had a batch of these donut muffins downstairs, then all bets would be off! Thanks so much! I always have smoked paprika (Usually I get it at the bulk store, and since I sometimes forget to check the cabinets, I tend to have from one to three packages at the same time). I also always have few kinds of dried herb mixtures (Italian seasonings and herbs de provence are my favourite). And the last thing would be…I don’t know indeed – I don’t use other ingredients. (Except salt) as often as the previous ones. But I saw your comment on lavender. Guilty! I will do better. I promise. And these cinnamon muffins pretending to be donuts (Or these are donuts pretending to be muffins?) look and sound fantastic, my friend. Pass me a few please. Haha…I’ve totally done the same thing, Ben, and then I end up with several packets/jars of my favorite spices. Do you have a good bulk store near you? Smoked paprika is up there pretty high on my list, too! And, yes, these donut muffins are suffering from an identity disorder. Are you donuts? Are they muffins? Who knows. Except I know they are delicious! A donut muffin! I’m in heaven. These are two of my favorite things mixed into one! I’ve always had a soft spot for cinnamon and sugar so you know this is going to be a favorite with me! How can there be a pan that makes donut holes? Donut holes are only donut holes if they’re cut out of actual donuts! Anything else is just dough. But a donut muffin? I’m all on board for that, especially with a nice coating of cinnamon sugar. I don’t keep cinnamon sugar on hand, but it looks like I need to! Love these donut muffins, David. 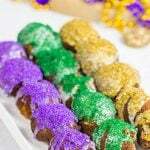 They remind me of donut holes which are one of my all time favorite treats! I too have a jar of homemade cinnamon sugar. And I must say, it comes in handy. 🙂 LOVE the donut-muffin combination. 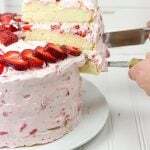 The texture must be heavenly! 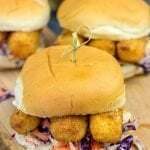 How perfect a plateful of these would be with my coffee in the morning. Yup! You indeed get to dip these bad boys in melted butter. I mean you’ve gotta have something for the cinnamon-sugar topping to stick to, right? 🙂 These are seriously dangerous, Jeff. You’ve been warned. Oh my gosh, do these look incredible or what! I am looking for the ideal new dessert to try out on my besties this coming Friday – looks like this will be it! Oh, I hope you get a chance to try these donut muffins out, Alexandra! They’re so easy to make, but don’t be surprised when you look down and they’re all gone. They disappear WAY too easily. 🙂 And I second your comment about salt, too. I love salt. Maybe too much. Haha! Ah! Chili powder is a good one. I’ve got that within arms reach in the cabinet, too. That is so awesome that your brother makes his own chili powder. I didn’t realize you could do that! Now I have to look into trying that out myself…it sounds like a fun project for sure! Thanks, Neil! Like you, I have my salt selection nearby – Kosher and flaky sea salt (for garnishing), and pepper and olive oil. I used to go to this meal prep place that had a brilliant mix – called “KSP” meaning 2 parts Kosher Salt to 1part ground black Pepper. That’s the ratio most recipes request. I’ve been meaning to make my own KSP. Anyway, these mini-muffins look so good. I’m so tempted to make them ASAP! Thanks for the recipe, David! Yes! It took me forever, but I finally found sea salt flakes. (I probably should’ve just looked on Amazon…haha.) Now I keep those nearby for garnishing, too. Interesting tip about KSP. I might have to start doing that! You’re right that most of the time I use that same 2:1 ratio. Thanks so much, Laura!! Funny, I just heard of donut muffins for the first time a few weeks ago when I saw them in Whole Foods. I love anything cinnamon!! I didn’t realize Whole Foods has donut muffins! Now I have to go and check out their version. *oh, darn. I have to go to Whole Foods. Haha! * Thanks, Nicole! I can almost smell these cute goodies! They look like bite-size cakes I had from Bahrain, besides cinnamon it also had cardamom in it. Cinnamon, oregano and paprika are my go to staples. I just popped your cinnamon pie dough twists in the oven. Yum! Oregano and paprika are definitely good ones, Joan! And cinnamon goes without saying. 🙂 I’m so glad you stopped by this post to say hi! These donut muffins are SO good…perhaps dangerously good. Haha! Hope you have a great weekend, and I hope you enjoyed those pie dough twists!